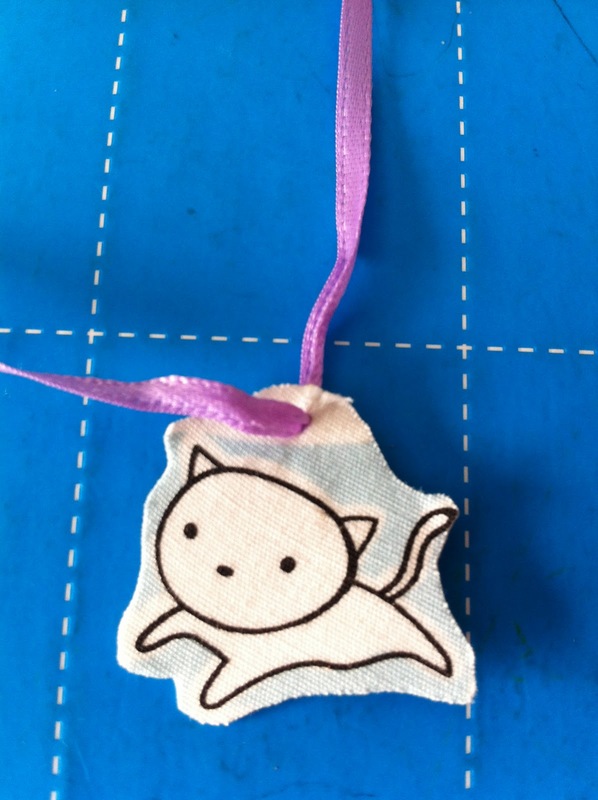 Here's a quick craft with lots of cute possibilities. 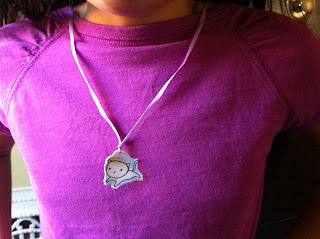 Just using bits of fabric, I made these little necklaces that would be easy for kids to make and creative enough for adults to do, too! I originally thought of using interfacing to make the little pendants, but I wanted to only use supplies that I had on hand to keep it simple and cheap. 1) Choose a fabric that has an interesting design or graphics. 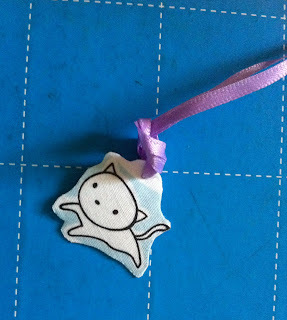 I only used a little piece to make a small necklace, but you can make yours as large or as small as you like. 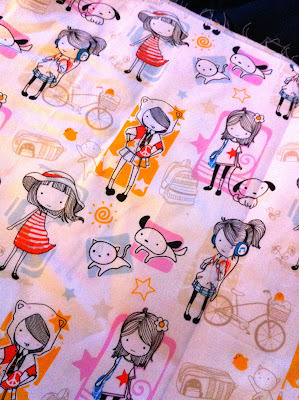 I bought this fabric because I fell in love with the cute illustrations. 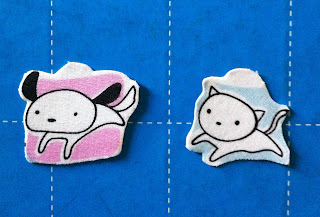 2) Use the glue stick and glue the fabric directly onto a piece of cardstock (an old greeting card or post card would work also, but the design from the card might show through the fabric). 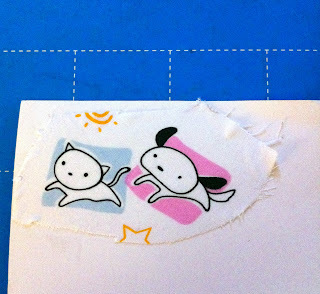 You can glue another cloth on the other side of the card or leave it blank. 3) Once the glue has dried, just cut out the design. 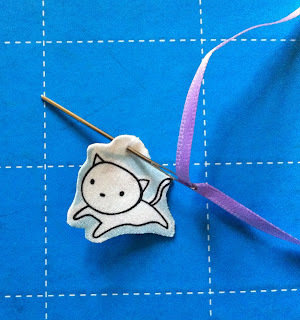 I left a little section on top (this is where you will make a hole to thread the ribbon). This is view from the back of the pendant. but you can also just leave the other side blank. 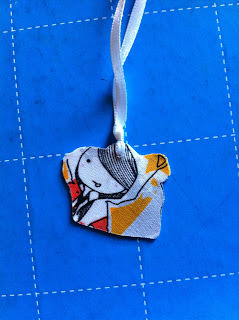 4) Use a needle to make a small hole to the top of the pendant. Use a sharp needle because you'll need to work your way through both the cloth and cardstock. If you're making a larger pendant, try using a small hole puncher instead. Measure out a length of thin ribbon (24"-30" is a good length to put over your head). 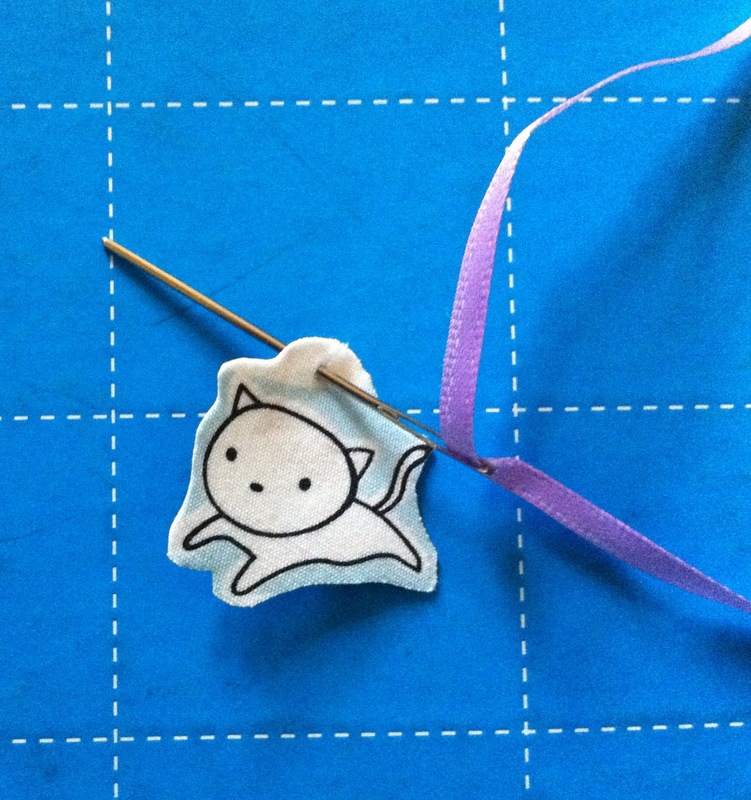 Thread a needle with that piece of ribbon and just sew through! 5) So that the pendant will hang flat, knot the ribbon at the top of the pendant as shown below. 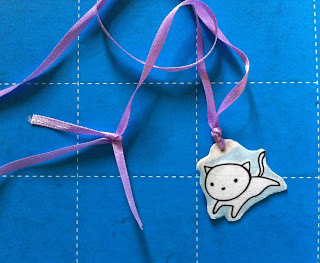 6) Knot the other ends of the ribbon together and put on the necklace. 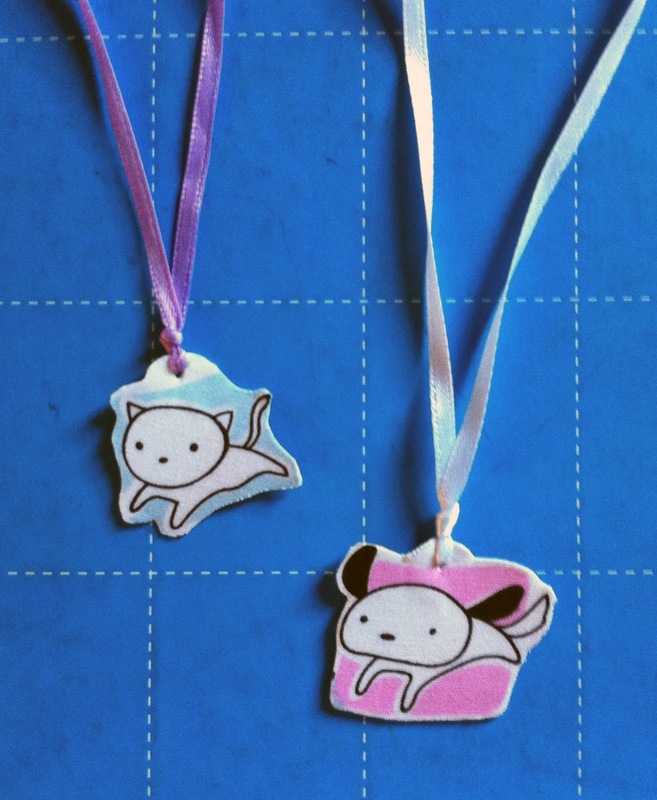 Thread a few more pendants onto the necklace, have 3 hang down the middle or space them out on the necklace. Use a fabric with an interesting design or solid color and cut out simple shapes like a heart, triangle, etc. 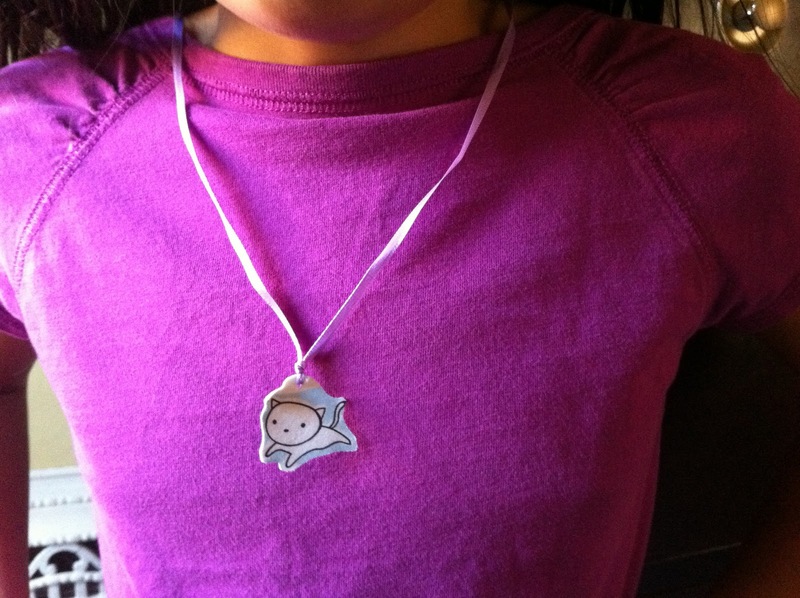 Make earrings - get some earring hooks and attach the pendants onto them. Tie a few more ribbons to the pendant and make a bookmark. So cute! And of course, you always have the best fabric. I have looked at your posts – you are very creative. 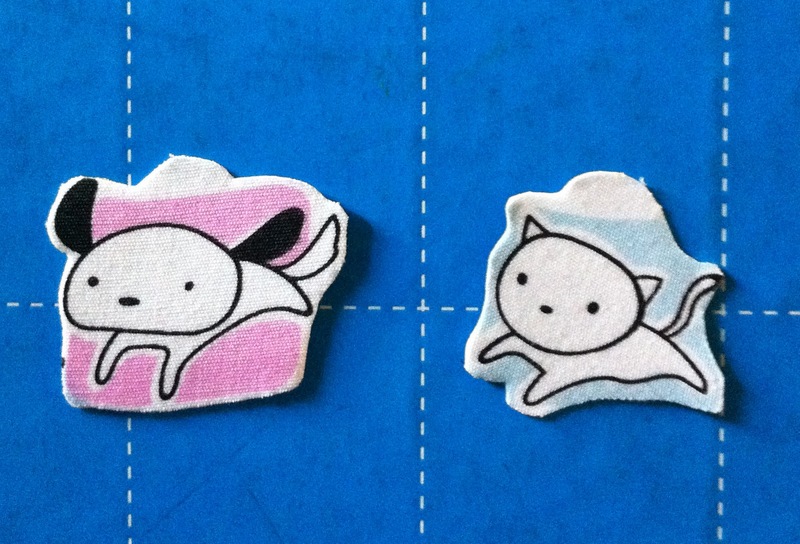 I like your Button/Badge Art – I should do that with the buttons I have in so many places. Thanks for coming to my blog.